The spread of deal activity in 2017 was mixed, with some particularly busy periods and some slower periods. The year started slowly, with only four firm offers being announced in January and February, but picked up significantly in Q2 with nearly two-fifths of 2017's firm offers being announced in that quarter. However, this was followed by a slower Q3 until a flurry of activity at the end of the year, with December alone accounting for 13 per cent of the firm offers in 2017. These figures demonstrate that, as in 2016, the Brexit vote does not appear to have had the immediate adverse impact on M&A that was initially feared. The trend of using a scheme of arrangement as the preferred method in larger, recommended bids continued in 2017; 29 of the firm offers subject to the Takeover Code were structured as a scheme of arrangement, with almost all the offers valued at over £1 billion (11 out of 12) being structured as a scheme of arrangement.7 This is no surprise given the scheme's advantages over a contractual offer, such as being able to ensure 100 per cent control of the target. The UK's macroeconomic performance in 2017 was solid but by no means spectacular. The UK economy grew by approximately 1.8 per cent, which was a slight decrease on the 1.9 per cent growth seen in 2016. It also represented a gap emerging between the United Kingdom and the eurozone, where economic growth was approximately 2.5 per cent in 2017.8 Inflation, which had risen from 0.5 per cent in December 2015 to 1.5 per cent in December 2016, continued to rise, nearly hitting a six-year high in November 2017 before reducing slightly to 2.7 per cent in December 2017.9 This continued increase is in part due to the fall in the value of the pound, following the 'Leave' vote in the UK referendum on leaving the European Union. Moving into 2018, there was a rise in worldwide deal-making at the beginning of the year, with an increase in both deal volume and deal value. In Q1, the United Kingdom was the most targeted country in Europe by volume, receiving 266 deals worth US$59.3 billion, which represents a small decrease in deal volume from the beginning of 2017, which had 283 deals, but a large rise in deal value, with US$59.3 billion in 2018 compared with US$38.3 billion in 2017.10 Although there is still political uncertainty in the United Kingdom, particularly while negotiations to leave the European Union are continuing, the agreement struck between the United Kingdom and the European Union in December 2017 on the terms of the UK's exit, which has since led to the start of negotiations on a UK–EU trade deal, may have helped to calm the market and made acquirers more comfortable pursuing M&A in the United Kingdom. The Companies Act 2006 provides the fundamental statutory framework and, with the law of contract, forms the legal basis for the purchase and sale of corporate entities. In addition, the City Code on Takeovers and Mergers (Takeover Code) regulates takeovers and mergers of certain companies in the United Kingdom, the Isle of Man and the Channel Islands. The Takeover Code has statutory force and the Takeover Panel (Panel) has statutory powers in respect of the transactions to which the Takeover Code applies. Breach of any of the Takeover Code rules that relate to the consideration offered for a target company could lead to the offending party being ordered to compensate any shareholders who have suffered loss as a consequence of the breach. In addition, breach of the content requirements of offer documents and response documents may constitute a criminal offence. The Panel also has the authority to issue rulings compelling parties who are in breach of the requirements of the Takeover Code to comply with its provision, or to remedy the breach. These rulings are enforceable by the court under Section 955(1) of the Companies Act. The Takeover Code has a wider scope than the EU Takeovers Directive, and applies if the offeree (or potential offeree) is a UK public company and, in some instances, if the company is private or dual-listed. The Financial Services and Markets Act 2000 (FSMA 2000) regulates the financial services industry and makes provision for the official listing of securities, public offers of securities, and the communication of invitations or inducements to engage in securities transactions. Following substantial amendments to the FSMA 2000, brought about on 1 April 2013 when the Financial Services Act 2012 (the FS Act) came into force, financial regulation is split between two bodies: the Financial Conduct Authority (FCA), which regulates conduct in the retail and wholesale markets, and the Prudential Regulation Authority, which is responsible for the prudential regulation of banks and other systemically important institutions. As a consequence of the FS Act, more than 1,000 institutions (including banks, building societies, credit unions and insurers) are now 'dual-regulated'. The UK Listing Authority Sourcebook of Rules and Guidance (which includes the Listing Rules, the Prospectus Rules, and the Disclosure Guidance and Transparency Rules (DTRs)), promulgated by the FCA in its capacity as the UK Listing Authority (the competent authority for the purposes of Part VI of the FSMA), includes various obligations applicable to business combinations involving listed companies, and contains rules governing prospectuses needed for public offers by both listed and unlisted companies. The Listing Rules, in particular, set out minimum requirements for the admission of securities to listing, the content requirements of listing particulars and ongoing obligations of issuers after admission. The Criminal Justice Act 1993 contains the criminal offence of insider dealing and, from 3 July 2016, the EU Regulation on Market Abuse (MAR) (with the Listing Rules, the DTRs and the Takeover Code) regulates the civil regime for insider dealing. Merger control rules are contained in the Enterprise Act 2002, although they do not generally apply to mergers in relation to which the European Commission (the Commission) has exclusive jurisdiction under the EU Merger Regulation. In addition, specific statutory regimes apply to certain areas, including water supply, newspapers, broadcasting, financial stability, telecommunications and utilities, and these separate regimes may have practical implications in merger situations. On 11 December 2017, the Code Committee of the Panel published Response Statement 2017/1 relating to asset sales and other matters and Response Statement 2017/2 relating to statements of intention and related matters. This section provides an overview of certain changes introduced by the Response Statements that are effective from January 2018. Rule 2.8(f) of the Takeover Code now prohibits a person who has made a statement that it does not intend to make an offer for a company from purchasing, agreeing to purchase or making any statement that raises or confirms the possibility that it is interested in purchasing assets that are significant in relation to the offeree company. The factors that should be considered when assessing whether assets are significant for the purposes of Rule 2.8(f) are set out in Note 5 to Rule 2.8, which provides, among other things, that relative values of 75 per cent will normally be regarded as significant. Similar restrictions on purchasing significant assets were also added to Rule 12.2, which governs competition reference periods, and Rule 35.1, which prohibits certain transactions within the 12-month period following the date on which an offer is withdrawn or lapses. These changes were introduced with the aim of preventing an offeror from circumventing the Code by purchasing significant assets from a target under circumstances when it would not be permitted under the Code to make a full offer to acquire all the target's shares. The newly introduced Rule 4.7 covers the sale of all or substantially all the offeree company's assets. It provides that if an offeree company announces that it has agreed terms on which it intends to sell all or substantially all its assets, and that it intends to return to shareholders all or substantially all of its cash balances, then a purchaser of some or all of the offeree's assets or a person connected to the purchaser is prohibited from acquiring interests in shares in the offeree company during the offer period unless the board of the offeree company has made a statement quantifying the amount per share that is expected to be paid to shareholders and then only to the extent that the price does not exceed the amount stated. Further, if a range is stated, the price paid must not exceed the bottom of the range. Such a statement will be treated as a 'quantified financial benefits statement'. Rule 2.7 of the Takeover Code, which provides the information that a firm intention announcement must include, now requires that the announcement must also set out the offeror's intentions with regard to the business, employees and pension schemes of the offeree company. This has the effect of bringing forward the date on which such intentions are required to be made public as the intentions had previously been required to be included in the offer document that follows a firm intention announcement. Rule 24.2(a) has also been amended to require an offeror to make specific statements of intention with regard to the offeree company's research and development functions, the balance of skills and functions of the offeree company's employees and management, and the location of the offeree company's headquarters and headquarter's functions. Rule 24.1 of the Takeover Code requires the offeror to send the offer document to shareholders of the offeree company within 28 days of a firm intention to make an offer, but prohibits the offeror from publishing an offer document earlier than 14 days following a firm intention announcement, unless prior consent has been obtained from the board of the offeree company. The new 14-day restriction ensures that, in a hostile takeover, the board of the offeree company has more time to formulate the opinion, reasons and views that it is required to publish under Rule 25.2(a). Noteworthy contractual interpretation cases have come before the court in 2017, providing useful lessons for M&A practitioners to consider when drafting transaction documents. In Watson v. Watchfinder.co.uk Limited,11 the court reviewed an option agreement entered into between the parties, a provision of which gave the defendant company directors discretion over the exercise of the option. The court had to determine whether this was an unconditional right to veto or whether the directors had to act reasonably in withholding their consent. The court applied the public law concept of 'reasonableness', finding that the board had a duty not to act capriciously, arbitrarily or unreasonably when exercising its discretion. Allowing consent to be withheld arbitrarily would make the option meaningless, because then 'the grant of shares is entirely within the gift' of the directors.12 Not only does this reveal the court's willingness to apply public law standards to private M&A contracts, but the court also commented on some wider drafting points. It was noted that the agreement was in part drafted by an operations director, reminding market participants of the need for sound and proper legal drafting. The case also emphasises that boards need to document properly their decision-making processes, as the judge noted that there was insufficient evidence to demonstrate why the board refused its consent. One suggested reason was that the claimant failed to secure the appropriate investment for the defendant, as it had been engaged to do. However, the court noted that if the defendant wanted to make the option conditional on a successful investment being made, then the parties ought to have drafted for that. The court again noted the imprecise drafting of a share purchase agreement indemnity clause in the Supreme Court case of Wood v. Capita Insurance Services Limited.13 Contributing to the case law on the textual approach to contractual interpretation, the court found that it was more inclined in this case to view the clause in the context of the contract as a whole, as this would assist in making the term's meaning clear. The court looked to the warranties, which were broad and time-limited, to understand that the parties had drafted a further indemnity, which was not time-limited and was limited in scope. As such, the court dismissed the appeal because the claim was not within the limited scope of the indemnity, nor was it within the two-year warranty period. The extent to which the court will rely on the wider context of a contract to understand a particular provision depends on the contract's formality, and the nature and quality of the drafting. The UK's decision to leave the European Union does not appear to have had an immediate adverse impact on the UK's attractiveness for foreign direct investment (FDI). On 16 January 2018, having fought off competition from rival bidder JPMorgan, Vantiv Inc announced the completion of its £8 billion acquisition of Worldpay Group plc. The merger created a global payments provider processing over 40 billion transactions worth £1.1 trillion in payment volume.22 The deal, recommended by the boards of both companies, was a response to the rapid evolution in the payments landscape and the need to 'offer more innovative and flexible technology and payment solutions to merchants in a large and fast-growing market'.23 Similarly, on 15 March 2018, Experian, a provider of global information services, announced that it will acquire Clear Score Technology Limited, a UK-based three-year-old credit score provider, for £275 million. The Worldpay and Clear Score deals demonstrate how players in the financial services sector are facing increasing competition, and how companies are using M&A to remain competitive in a fast-developing industry where consolidation is likely to continue. As expected by analysts, Solvency II25 continues to have an effect on deal-making in the insurance sector in 2018, leading to increased consolidation.26 Solvency II applies to insurers in the European Union and requires them to have enough capital to have 99.5 per cent confidence they could cope with the worst expected losses over a year. In February 2018, as the next stage of its transformation, SLA announced its plans to sell the bulk of its insurance business to Phoenix Group. The selling of its capital heavy insurance business is part of SLA's strategic transformation into an investment company27 and will lead to a reduction in SLA's Solvency II capital requirements. The £3.2 billion deal, which is subject to approvals and is expected to complete in the second half of 2018, is the latest in Phoenix Group's numerous acquisitions of legacy insurance businesses in recent years. On 30 April 2018, J Sainsbury plc and Walmart Inc announced that they had agreed terms in relation to a combination of Sainsbury's and Asda Group Limited to create an enlarged business with revenues in the region of £51 billion.32 The deal that values Asda at approximately £7.8 billion33 is expected to attract scrutiny from the CMA but is a further example of consolidation in the consumer and retail sector. For example, there was notable investor controversy in the run-up to Anheuser-Busch InBev NV's takeover of SABMiller in late 2016. US activist hedge fund Elliott Management raised concerns that the partial share consideration on offer, which was aimed at major SABMiller shareholders Altria Group Inc and BevCo Limited, was more favourable than the cash offer because of the decline in the value of sterling after the Brexit vote.35 That pressure is reported to have led Anheuser-Busch InBev to raise its cash offer in July 2016.36 In addition, Soroban Capital Partners, which in fact supported the scheme, objected to the exclusion of Altria and BevCo from the class of shareholders who were entitled to vote on the transaction. Soroban claimed that the court did not have jurisdiction to convene a meeting with all SABMiller's shareholders except Altria and BevCo, and further stated that the presence of the two shareholders would mean a much higher chance of dissentient shareholders being outvoted. The court, however, held in Re SABMiller plc that it did have the requisite jurisdiction.37 The practical consequences of this decision are that a company proposing a scheme may choose to exclude certain supportive shareholders from the scheme meeting to minimise the risk of a legal challenge to the scheme. Contentious shareholder activity hit the headlines again in early 2017 when the Dee Valley case came before the court.38 The issue was whether it was valid for a shareholder to split its shareholding by transferring one share each to 445 individuals to defeat the 'majority in number' test in a scheme of arrangement used to effect a takeover. The court held that members must use their votes for the purpose of benefiting the class as a whole and not their own individual interests. Accordingly, the relevant dissenting shareholders' votes were ruled invalid and the scheme was sanctioned. The implications arising from the case are numerous, not least because it was the first in England and Wales to consider the validity of share splitting as a mechanism to vote against a scheme. In reaching its decision, the court noted that the court meeting convened to approve the scheme is a sui generis meeting under the control of the court, unlike a normal general meeting of company shareholders. As such, the chair of the court meeting is given wide powers to reject votes if members are not voting in the interests of the class as a whole (although in practice it is likely that the chair would seek advice from the court or counsel before doing so). Had the case been decided differently, it might have paved the way for activist shareholders to block schemes with share-splitting strategies, which would have been particularly notable given the scheme's popularity in recent years as a way to implement recommended takeovers (as discussed in Section I). The judgment still leaves some uncertainty regarding what exactly constitutes vote manipulation, keeping open, for example, the question of whether the votes would have been valid if the share splitting had occurred before the court meeting was convened, or if the relevant shareholders had paid for the single share they received as part of the split. It will be interesting to watch the activities of activist investors in the coming year, both to see the approach taken by boards of UK companies when confronted in an M&A situation and whether activists will continue to focus on the intricacies of the scheme structure. Given the importance of GKN to the UK's national security, the CEOs of Melrose and GKN appeared before the Business, Energy and Industrial Strategy (BEIS) Committee and, 48 hours before the GKN shareholder vote, the British government intervened by writing a letter demanding binding commitments from Melrose. The demands, including commitments to continue operating GKN as a UK business and investing in research and development projects, were considered the latest example of the government being increasingly willing to intervene in takeovers.41 In addition to the post-offer undertakings agreed with the Panel, in April 2018, Melrose announced that it had entered into deeds of covenant and undertakings in favour of the Ministry of Defence and the BEIS with respect to the GKN business and, as a result of these commitments, the government decided that statutory intervention was not required. In accordance with its short-term proposals, the government confirmed its decision to lower the turnover threshold from £70 million to £1 million in the dual use and military use sector, and in parts of the advanced technology sector. Lowering the threshold to £1 million means that the turnover threshold will be easier to meet, and a higher number of deals will be open to review by the CMA. Second, the government decided to introduce a new share of supply test in the two sectors set out above. The new test, instead of only looking at the share of sales that the merged entity has, will also look at the share of sales of the target business before the merger. If the pre-merger share of sale of the target is 25 per cent or more, then the new share of supply test will be met, and the transaction will be subject to CMA scrutiny. The two changes discussed above will not replace the existing turnover and share of supply tests, but will exist alongside the existing CMA referral regime. The proposals will be brought into effect by the Enterprise Act 2002 (Share of Supply Test) Amendment Order 2018 (which has been laid before Parliament) and the Enterprise Act 2002 (Turnover Test) (Amendment) Order 2018.44 These amendments, in addition to its involvement in recent bids, signals that the government is likely to take a more interventionist approach to future deals. In 2017, 46 firm offers were announced for AIM or Main Market companies that were subject to the Takeover Code.45 Cash continues to be the main form of consideration (or cash in combination with shares or loan notes). The use of debt financing to fund or part fund offers has continued to drop since 2015, with 15 offers involving a debt portion (compared to 27 in 2016 and 33 in 2015). The use of short-term bridge facilities remains popular, particularly for larger deals; the facilities are typically refinanced in the bond markets or with longer-term loan refinancings. Rule 24.3(f) of the Takeover Code requires that the offer document must contain a description of how the offer is to be financed and the source or sources of the finance. In particular, the offer document must provide details of the key terms of the debt, including the interest rates and any 'step up' or variation provided for (which would include market flex rights). Following the publication of the announcement of a firm intention to make an offer, any documents relating to the financing of the offer must be published on a website no later than 12 noon on the following business day (Rule 26.2(b)). The disclosure of any market flex provisions included in the financing arrangements can therefore be a contentious issue. Disclosure of negotiated flex rights pursuant to Rule 26.2 may lead to higher funding costs, as it can put potential syndicate members on notice of the arrangers' ability to increase the interest payable (within the agreed parameters). Rules 24.3(f) and 26.2 were introduced in 2011; in its 2012 review of the 2011 amendments to the Takeover Code, the Panel noted that as a result of the concerns outlined above, dispensation had been granted from the Rule 26.2 requirement in relation to disclosure of flex rights. This gives the parties a period of up to 28 days to complete syndication before publication of the offer document, which must then include details of the flex in accordance with Rule 24.3(f). Whether this 28-day concession will be long enough to complete syndication will depend upon the proposed timetable. Although a pure share transfer typically does not engage the Transfer of Undertakings (Protection of Employment) Regulations 2006 (TUPE), two key cases in 2017 highlighted the risk of employees successfully arguing that the TUPE applies in relation to intra-group integration activities following completion of an M&A deal. In ICAP Management Services Limited v. Dean Berry and BGC Services (Holdings) LLP,46 the court considered application of the TUPE in the context of a share sale of a parent company. The court held that the TUPE argument failed on the basis that there was no transfer of the business in which employees were employed, as opposed to control of that business. The mere fact of control is insufficient to show that a transfer has taken place from the target subsidiary to the new parent company. The critical test is whether the new party has become responsible for carrying on the business, has incurred the obligations of the employer, and has taken over the day-to-day running of the business. The relevant test can be summarised as whether the new party has 'stepped into the shoes of the employer'. This test was expounded by the Employment Appeal Tribunal (EAT) in Guvera Ltd v. Ms C Butler and others,47 in which the EAT rejected the idea that it is a necessary condition of a TUPE transfer that the transferee has assumed the obligations of employer towards the employees of the undertaking (for example, by paying the employees' wages). Rather, the factors outlined in ICAP Management were said to be important, but not necessary, aspects of a multifactorial test to find a TUPE transfer has taken place. In Guvera, the parent company went beyond exercising ordinary supervision of the subsidiary, including making and directly implementing key business decisions and directly handling a redundancy process. The EAT therefore found this gave rise to a TUPE transfer. From a practical perspective, it is important to analyse the TUPE risk at the level of the day-to-day management of the business. While the purchaser may have a clear commercial interest in integrating the target's business into its own, integration affecting day-to-day management (such as hirings and firings) will lead to a greater risk of a TUPE transfer occurring. In contrast, the kind of global strategic oversight that is inevitable in group companies with shared ownership will not be sufficient. Having group-wide policies on HR and remuneration matters, for example, should be seen as low risk, provided that implementation of those policies is a matter for each individual company. Businesses should therefore be aware of this potential TUPE risk when structuring the transaction and planning post-completion integration steps. Employment status remains a hot topic, particularly in those sectors (such as the gig economy) in which workers have traditionally been classified as self-employed but are now claiming to be entitled to certain employment rights. The government commissioned Matthew Taylor, the chief executive of the Royal Society of Arts, to conduct a review of modern employment practices;48 the result report was published in July 2017.49 The Taylor Review recommended significant reforms to the current categorisation of workers and self-employed individuals, and the rights attaching to each status. The employment status consultation contemplates new legislation that would set out the test to be met for an individual to be categorised as an employee, either using existing case law criteria or on the basis of new criteria. The paper also considers the possibility of aligning the definitions of employed and self-employed under the employment rights system and the tax system. However, the consultation makes clear that no decisions have been made about whether or how to reform employment status, so imminent legislative change appears unlikely for the moment. The consultation closed on 1 June 2018. For now, businesses should remain alive to the risk that the individuals within their workforce may be incorrectly classified, and that the rights and responsibilities attaching to those individuals may be subject to change. This could have significant financial and reputational implications for the business, particularly in the current political climate. Purchasers should therefore conduct thorough due diligence on the employment status of the target's workforce and seek appropriate indemnity protection where necessary. There is mandatory auto-enrolment in the United Kingdom. This means that companies are required to offer (most) workers at least a defined contribution tax-registered pension plan providing a minimum level of contributions. These requirements are being introduced on a 'staged' basis: they currently amount to a minimum total contribution of 5 per cent of an employee's 'qualifying earnings'52 (of which the employer must contribute at least 2 per cent), rising to 8 per cent from 6 April 2019 (of which the employer must contribute at least 3 per cent). The increasing cost of auto-enrolment will need to be taken into account by purchasers as part of a target's continuing employment costs. However, employers may not currently be able to automatically postpone the starting dates of the minimum contribution rate increases if, for example, they have been specifically written into the scheme rules. The position will need to be checked by the purchaser. On 6 April 2016, contracting out of the state pension in defined benefit schemes was abolished as part of the introduction of the reformed UK state pension system. Employers have therefore lost the national insurance rebate to which they were previously entitled as a result of contracting out of the state pension. The abolition of contracting out could be a relevant consideration for those purchasers considering taking on a target's (now formerly contracted out) defined benefit scheme that is still open to future accrual (although such schemes are now rare), as the employer would be required to pay a higher level of national insurance contributions. However, a statutory modification power has been introduced that allows employers unilaterally to amend scheme rules governing accrual rates and member contribution levels so far as is necessary to compensate the employer for the loss of its national insurance rebate. This power is subject to certain restrictions and would require consultation with employees. The power is available for five years after the abolition of contracting out. A seller may require the purchaser to continue to offer a target's employees membership of a defined benefit pension scheme, including accepting a transfer of the employees' (and possibly former employees') previous service benefits into that scheme, although this is now relatively unusual. If a transfer is to be carried out on a 'without consent' basis,53 certain requirements must be met. Prior to 6 April 2018, it was not possible to transfer contracted-out rights without consent to a scheme that had never been contracted out. The abolition of contracting out on 6 April 2016 meant that newly established schemes could not therefore receive a without-consent transfer of contracted-out rights. Since 6 April 2018, such transfers are permissible but only if certain conditions are met. On acquisitions, transfers would usually be made with members' consent, but they could be made on a without-consent basis, particularly if it is intended also to transfer the benefits of any former employees. The government is planning to intensify the Pensions Regulator's scrutiny of how corporate activity may affect pension provision. A White Paper (Protecting Defined Benefit Pension Schemes, published on 19 March 2018 has announced a number of changes to be introduced in 2019–2020 'at the earliest'. 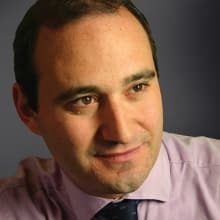 One change will introduce a requirement for employers or parent companies to make a statement of intent, in consultation with the pension scheme trustees, ahead of any relevant business transaction posing 'the highest potential risk' to the defined benefit scheme, such as the sale or takeover of a sponsoring employer, stating how the employer proposes to mitigate any detrimental impact on the pension scheme. There will also be new 'highly punitive' fines to penalise the targets of a contribution notice, including individual directors, possibly applied retroactively to acts or omissions after the date the White Paper was published, imposed by the Pensions Regulator. The penalty is expected to be linked to the Regulator's power to issue contribution notices, but it is unclear how this would operate and what the amount would be. In addition, a new criminal offence will be introduced to punish the 'wilful or grossly reckless behaviour' of directors and any connected persons. The terminology used implies that well-run schemes with responsible employers should not be concerned by this, however. To achieve greater fiscal stability, the autumn statement and spring budget have now been replaced by an autumn budget and spring statement. As part of the Budget in November 2017, the government announced that it remains committed to a 'low tax economy'. That commitment was reiterated as part of the Spring Statement in March 2018. There have been some positive developments, in particular for equity investors. In contrast, those investing in UK real estate may face additional tax charges. For disposals made on or after 1 April 2017, the scope of the substantial shareholding exemption (SSE) has been broadened, bringing it more into line with 'participation exemptions' in other jurisdictions. The investor trading condition has been removed, the period over which the substantial shareholding requirement can be satisfied has been extended and the post-disposal investee (target) trading condition has been relaxed. A new subsidiary exemption for 'qualifying institutional investors' has been introduced. A new exemption from the 20 per cent withholding tax on interest has been introduced with effect from April 2018. It applies to interest on securities that are admitted to trading on a multilateral trading facility. In November 2017, it was announced that the government intends to bring all gains accruing on disposals of interests in UK real estate within the scope of UK tax, regardless of the residence of the person making the disposal. It is further intended that non-residents would, in certain circumstances, be subject to UK tax on the disposal of shares in a property-rich company. The relevant consultation closed on 16 February 2018 and draft legislation is expected to be published in summer 2018, with a view to bringing the measure into effect from April 2019. Despite Brexit and US tax reform, the United Kingdom remains an attractive holding jurisdiction. As recently as March 2018, Dana Inc announced that it would re-establish itself in the United Kingdom as part of a proposed offer for part of GKN plc's business. However, that offer was thwarted by the takeover of GKN plc by Melrose Industries plc. After the Republic of Ireland, the United Kingdom has the lowest corporation tax rate in Western Europe; currently, it is 19 per cent and is due to decrease to 17 per cent by 1 April 2020. The United Kingdom has a broad network of double tax treaties (DTTs), generally exempts from tax any dividends (both domestic and foreign) received by UK companies and does not operate any withholding tax on dividends paid by UK companies (other than real estate investment trusts). However, Brexit may mean that UK companies are no longer able to avail themselves of certain tax-related benefits of the UK's membership of the European Union, notably benefits under the Parent–Subsidiary Directive.54 If UK parent companies can no longer rely on this Directive (which abolishes withholding taxes on payments of dividends between associated companies of different Member States), dividends would be received subject to withholding tax at the relevant DTT rate, and this is not necessarily zero (for instance, in respect of dividends from German and Italian subsidiaries, it would be 5 per cent). Intra-group payment flows should therefore be reviewed and holding structures for future acquisitions designed with this in mind. If a takeover was structured as a cross-border merger involving a UK company, the Tax Mergers Directive55 may no longer operate to ensure that the merger is tax neutral; it is unclear how the UK's implementing legislation would continue to apply after Brexit. In practice, though, it is extremely rare to use this method in a UK context anyway. Supposedly to align the United Kingdom with other G7 countries, losses incurred after 1 April 2017 can now be carried forward and set off against profits from other income streams or group companies. However, this set-off is limited to 50 per cent of a group's profits above £5 million (with stricter restrictions for banks). From 1 April 2017, the rules against 'loss buying' have been extended. Under the new rules, if there is a major change in the nature or conduct of the target's trade (or investment business) within five years of the acquisition, pre-acquisition losses may be lost. The use of tax losses through surrenders as group or consortium relief may be affected by the recent Farnborough case,56 in particular, in the context of joint ventures. The case calls into question whether, for the purposes of the grouping rules, a shareholders' agreement is a constitutional document and its provisions can be taken into account to determine an entity's controller. Despite the pending appeal, joint venture partners may wish to consider relocating the provisions on voting rights to the joint venture entity's articles of association. Purchasers may want to focus due diligence on, and seek robust warranties in respect of, remuneration structures for UK employees. Following the Rangers case,57 it is likely that the UK's tax authorities will seek to apply the principle that employment income paid by an employer to a third party (rather than to the employee) is taxable as employment income to a wide range of disguised remuneration schemes, including those involving employee benefit trusts and a range of contract loan schemes. The diverted profits tax also remains a hot topic. The tax authorities appear to be approaching it hand-in-hand with enquiries into a group's transfer pricing position. Purchasers want to make sure that they are appraised of any risks in this area, whereas sellers should ensure that they have sufficient conduct rights – in particular, where transactions between retained companies and the target may be subject to challenge. Those considering investments in small businesses should note that, at the time of writing, the government is consulting on rules broadly equivalent to a diverted profits tax for small businesses which is intended to come into effect in April 2019. For periods beginning on or after 1 April 2017, groups with interest expenses exceeding £2 million are subject to a restriction on interest deductibility. Broadly, deductions in excess of 30 per cent of the group's UK 'tax-EBITDA'58 or, if higher, the ratio of net interest to EBITDA for the worldwide group, are disallowed. Where entities are sold out of a group, both seller and purchaser should consider to what extent the seller should be permitted to allocate disallowances to the target. According to a position paper published in November 2017 and updated in March 2018, the government considers that current international tax rules do not adequately address the tax challenges posed by the digital economy. While the preferred solution is the reform of the international corporate tax framework through the OECD, the UK government considers that, in the absence of such a reform, an interim solution would have to be considered in cooperation with the European Union and other international partners. In July 2017, the Office of Tax Simplification (OTS) published its proposals for the reform of stamp duty. At the time of writing, we are awaiting a detailed response to these proposals by the government. The OTS shied away from recommending the abolition of stamp duty or a merger of stamp duty and stamp duty reserve tax (SDRT). Its recommendations include aligning the scope of stamp duty and SDRT, making stamp duty assessable so that it is no longer 'voluntary', and speeding up the stamping process through digitalisation. As part of the Budget in November 2017, the government confirmed that the 1.5 per cent stamp duty and SDRT charge on the issue of shares (and transfers integral to capital raising) into overseas clearance services and depositary receipt systems will not be reintroduced following Brexit. While the UK's VAT rules are unlikely to be altered significantly as a result of Brexit, it remains unclear how cross-border transactions will be taxed. The Cross-Border Trade Bill, published in November 2017, provides a framework on which the regimes for charging import duty, excise duty and VAT on cross-border transactions post-Brexit would be based. The framework is adaptable to a hard Brexit as well as a range of soft versions. Sweeping powers are granted to the government to amend or supplement the legislation. As a consequence, the Bill offers no real clarity on what the system would look like. The government has published a summary of the responses to the consultation on changes to the VAT grouping rules. The immediate outcome it that the treatment of certain types of partnerships will be clarified through a policy paper and guidance. Otherwise, the government will continue to review the scope of the grouping rules; future changes will be considered in the context of the Brexit negotiations to avoid multiple changes. In the Ryanair case,59 the Irish Supreme Court has referred the question to the European Court of Justice whether VAT on deal fees can be recovered if a takeover has been unsuccessful but the hopeful acquirer intended to provide management services to the target if the takeover had been successful. Whether or not the decision of the European Court of Justice in this case will bind the United Kingdom will depend on the Brexit deal and may depend on the date of the decision relative to the date of Brexit. The tax treatment of intangibles is currently bifurcated. Broadly, depending on the date of their creation or acquisition, intangibles are either treated as capital assets (CGT regime) or their tax treatment follows their accounting treatment (IFA regime). Moreover, since 2015, purchasers have been denied relief for the acquisition of goodwill – even though the seller would have to bring income from the sale of such goodwill into account for its own tax purposes. At the time of writing, the government is consulting on a proposal to bring all intangibles into the IFA regime. The consultation document also invites representations as to whether the denial of relief for the acquisition of goodwill affects the UK's competitiveness. Purchasers would clearly benefit from the reintroduction of the relief. In an M&A context, de-grouping charges in respect of intangibles are another key concern. Under current law, if a trade is hived into a newly incorporated company and that company is sold, a de-grouping charge would arise under the IFA regime, but not the CGT regime. Although the consultation document invites representation on this issue, it indicates that a proposal would have to be affordable and allow the clawback of deductions in excess of economic cost. When investing in UK technology companies, investors may wish to consider the extent to which the target's profits could be affected by the extension of the UK's royalties withholding tax that was proposed in November 2017; draft legislation is expected in summer 2018. In November 2017, the government announced two measures to facilitate the transfer of late-life oil and gas assets. Currently, pure mature field specialists with little prior activity in the North Sea are unable to obtain effective corporation tax relief for decommissioning costs. This is because the resulting losses sit in the specialist buyer whereas the capacity to use those losses (by way of carry-back against tax previously paid) is locked away in the seller. To resolve this issue, the government announced that, from 1 November 2018, a seller will be allowed to transfer all or part of its tax history to the buyer. At the time of writing, we are awaiting draft legislation. As regards petroleum revenue tax (PRT), the government is to launch a technical consultation on allowing PRT relief for decommissioning costs incurred by a previous licence holder. The intention is to support the transfer of assets where the seller retains the decommissioning liability. At the time of writing, we are awaiting publication of that consultation. The CMA has the power to carry out an initial Phase I review and has a duty to refer any qualifying transaction for a detailed Phase II investigation if it believes that it is or may be the case that the merger could give rise to a substantial lessening of competition. Phase I decision-making is undertaken by the Senior Director of Mergers (or another senior CMA official). Phase II decision-making is undertaken by an independent panel of experts drawn from a pool of senior experts in a variety of fields. Notification is 'voluntary' in the sense that there is no obligation to apply for CMA clearance before completing a transaction. The CMA may, however, become aware of the transaction through its market intelligence functions (including through the receipt of complaints) and impose interim orders preventing further integration of the two enterprises pending its review. There is a risk that it may then refer the transaction for a Phase II investigation, which could result in an order for divestment. The average length of Phase I was 34 days.63 If the CMA's duty to refer a transaction to a Phase II investigation is engaged, the parties have five working days from the substantial lessening of competition decision (SLC decision) to offer undertakings in lieu of a reference to the CMA (although they may offer them in advance should they wish to do so). If the parties offer undertakings, the CMA has until the 10th working day after the parties received the SLC decision to decide whether the offer might be acceptable, in principle, as a suitable remedy to the substantial lessening of competition. If the CMA decides the offer might be acceptable, in principle, a period of negotiation and third-party consultation follows. The CMA is required to decide formally whether to accept the offered undertakings, or a modified form of them, within 50 working days of providing the parties with the SLC decision, subject to an extension of up to 40 working days if there are special reasons for an extension. At Phase II, the CMA must issue its decision within a statutory maximum of 24 weeks; this period is extendable in special cases by up to eight weeks. If remedies are required, the CMA has a statutory period of 12 weeks (which may be extended by up to six weeks) following the Phase II review within which to make a decision on any remedies offered by the parties. The CMA has significant powers to impose interim measures to suspend or reverse all integration steps and prevent pre-emptive action in relation to both completed and anticipated mergers. This ensures that, although notification is voluntary in the United Kingdom, the CMA is able to prevent action being taken that would result in irreversible damage to competition. Severe financial penalties may be imposed for breaches of any interim orders or undertakings (capped at 5 per cent of the aggregate group worldwide turnover). The CMA levies substantial filing fees in respect of the mergers it reviews (of between £40,000 and £160,000), depending on the turnover of the target business. The number of Phase I merger decisions made by the CMA in the 2017–2018 financial year (62) was slightly up from the 57 taken in the preceding financial year, and significantly down from the peak of 210 merger decisions made by the Office of Fair Trading in the 2005–2006 financial year. Since 2005–2006, 57 is the lowest annual figure for Phase I decisions, the average being 98 decisions per year. Of the 62 cases decided during 2017–2018, 41 were cleared unconditionally, representing around 66 per cent of cases, down from around 74 per cent in the preceding year (including cases cleared under the de minimis exception). Nine cases were referred for Phase II review (around 15 per cent), up from 9 per cent in the preceding year. Undertakings in lieu of a reference were accepted in 12 cases, up from nine in the preceding year. At the time of writing, three of the nine transactions referred to Phase II have been cleared unconditionally, two have been cleared with remedies, one was cancelled (as the merger in question was abandoned) and three are still under review. Six Phase II decisions were published by the CMA in the 2017–2018 financial year, down from seven in the previous year. Four were unconditional clearances and two were granted clearance subject to divestiture remedies. The CMA did not prohibit any mergers during the 2017–2018 financial year, whereas it prohibited one in the preceding year. Overall, the CMA intervened (i.e., prohibited or accepted remedies) in around 23 per cent of cases in the 2017–2018 financial year, which is around four times the rate of intervention from the Commission over a similar period. The higher intervention rate may be explained by the voluntary nature of the UK merger control regime, which means that parties may elect not to notify transactions that do not give rise to significant competition issues. In its Annual Plan 2018–2019, the CMA states that it will continue to build on the recent changes it has made to ensure an efficient, effective and targeted merger control regime. In 2017–2018, the CMA updated the merger notice and issued guidance around initial enforcement orders and mergers intelligence guidance. In addition, the CMA will conclude its review of remedies guidance across Phase I and Phase II mergers, including consulting on any improvements. The CMA also announced three targets for its assessment of mergers in its Annual Plan 2018–2019: to clear at least 70 per cent of merger cases that are less complex within 35 working days; to complete 70 per cent of Phase II merger cases without an extension to the statutory deadline; and to implement Phase II merger remedies without the need for an extension to the statutory deadline in at least 80 per cent of cases. As set out in Section V.iv, the government has confirmed its decision to introduce an alternative turnover threshold and share-of-supply test in certain national security-sensitive areas of the economy. The year 2017 was a strong one for European M&A, with a notable increase in deal volume and deal value compared to 2016. For the United Kingdom, deal activity got off to a slow start in the first quarter of 2017 but picked up in the last quarter. While 2017 did not reach the same highs as 2016 or 2015, markets were not as plagued by the political uncertainty of the Brexit negotiations as may have been expected. As noted in the Eleventh Edition of The Mergers & Acquisitions Review, a weaker pound and cheap financing meant that foreign investors continued to see the United Kingdom as an attractive investment centre and responded accordingly. 1 Mark Zerdin is a partner at Slaughter and May. 2 Mergermarket, 'Deal Drivers EMEA 2017'. 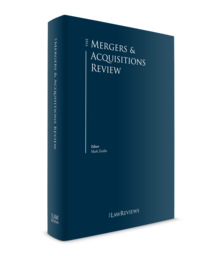 3 Office for National Statistics article: 'UK Mergers and Acquisitions activity in context: 2017'. 5 PLC, 'Public M&A Trends and Highlights 2017'. 9 Consumer Price Inflation times series dataset. 10 Mergermarket, 'Global and regional M&A activity during Q1 2018'. 12  EWHC 1275 (Comm), at  per Judge Waksman QC. 15  EWCA Civ 2132, at  per Lord Justice Lewison. 16  Civ 2132, at  per Lewison LJ. 17 Office for National Statistics article: 'UK Mergers and Acquisitions activity in context: 2016'. 20 VENUE. Market Spotlight: Financial Services. November 2017 Edition. 23 'Recommended Merger of Worldpay and Vantiv' – announcement. 9 August 2017. 25 Directive 2009/138/EC of the European Parliament and of the Council of 25 November 2009 on the taking-up and pursuit of the business of Insurance and Reinsurance. 26 Financial Times. 'Q&A: How Solvency II works'. Accessed 13 April 2018. 27 SLA plc Annual Report and Accounts 2017. 28 Mergermarket, 'Global & Regional M&A Report FY 2017'. 30 Mergermarket, 'UK Trend Report FY 2017'. 34 'Bumpitrage in schemes: the growing threat', PLC, 27 October 2016; PLC, 'Public M&A Trends and Highlights 2017'. 35 'Shareholders back AB InBev and SABMiller £79bn “Megabrew” deal', Financial Times, 28 September 2016. 37 Re SABMiller plc  EWHC 2153 (Ch). 38 Re Dee Valley Group plc  EWHC 184 (Ch). 39 PLC, 'Public M&A Trends and Highlights 2017'. 40 Other examples include, Twenty-First Century Fox Inc's offer for Sky PLC and Hytera Communications Corporations Limited's offer for Sepura. See further, PLC, 'Public M&A Trends 2017'. 41 Financial Times. 'UK issues demands over Melrose's £7.8 billion hostile bid for GKN'. Accessed 13 April 2018. 42 Enterprise Act 2002, Section 23. 43 See, Department for Business, Energy and Industrial Strategy, 'National Security & Infrastructure Investment Review' (15 March 2018) and 'Enterprise Act 2002: Changes to the Turnover and Share of Supply Tests for Mergers' (15 March 2018). 44 Department for Business, Energy and Industrial Strategy, 'National Security & Infrastructure Investment Review' (15 March 2018). 45 PLC, 'Public M&A Trends and Highlights 2016'; PLC, 'Public M&A Tends and Highlights 2017'. 52 The contribution rates do not apply to all of an employee's pay, but only to the amount falling within the 'qualifying earnings band'. For the 2018–2019 tax year, qualifying earnings are gross annual earnings between £6,032 and £46,350. 53 That is, without the consent of the members whose benefits are to be transferred. 54 Council Directive 90/435/EEC of 23 July 1990. 55 Council Directive 90/434/EEC of 23 July 1990. 56 Farnborough Airport Properties Ltd and others v. HMRC  UKUT 394. 57 RFC 2012 Plc (in liquidation) (formerly The Rangers Football Club Plc) v. Advocate General for Scotland  UKSC 45. 58 Earnings before interest, taxes, depreciation and amortisation. 59 Ryanair Ltd v. The Revenue Commissioners (Case C249/17). 60 Mergers updates, Law Society Competition Section seminar, 13 March 2018. This figure is accurate as at 28 February 2018. 61 Ibid. This figure is accurate as at 28 February 2018. 62 Ibid. This figure is accurate as at 28 February 2018. The CMA has indicated that the statutory clock was only stopped in cases that had been referred to it from the Commission under Article 4(4) of the EU Merger Regulation, not in mergers that were originally notified to the CMA. 63 Ibid. This figure is accurate as at 28 February 2018. 64 Mergers updates, Law Society Competition Section seminar, 13 March 2018. 66 CMA 2018–2019 Annual Plan; Mergers updates, Law Society Competition Section seminar, 13 March 2018. 67 Mergermarket, 'UK Trend Report Q1 2018'.